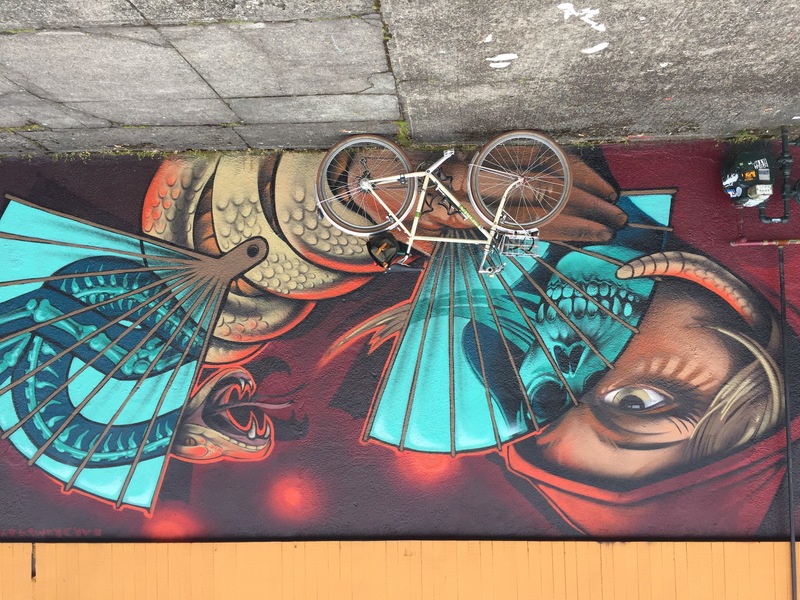 Starting month 5 with a simple snapshot of one of my bikes with a mural. I haven’t spent much time with the better camera in the last couple of weeks as I try to finish off some other creative projects that have taken me far longer than anticipated. 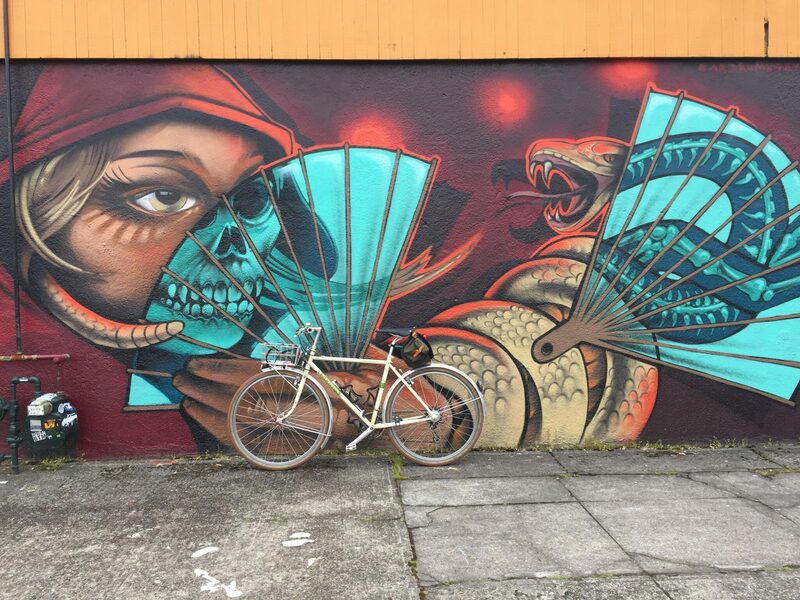 This mural can be found at 15th and NE Burnside on the side of Columbia Art Supply. I didn’t see the artist’s signature anywhere on the piece, I’m probably just blind. But I will credit them as soon as I find out. It’s hard to believe I’m already 5 months into this daily photography project. In previous attempts, I had missed a day or just got frustrated and gave up trying. This effort feels different. I no longer feel constrained by my equipment so I can focus more on something interesting rather than trying to fight the limitations.